While completing his Divinity and Th.M. degrees at Union Presbyterian Seminary in Richmond, Virginia, Williams served as assistant pastor of nearby Grace Covenant Church. 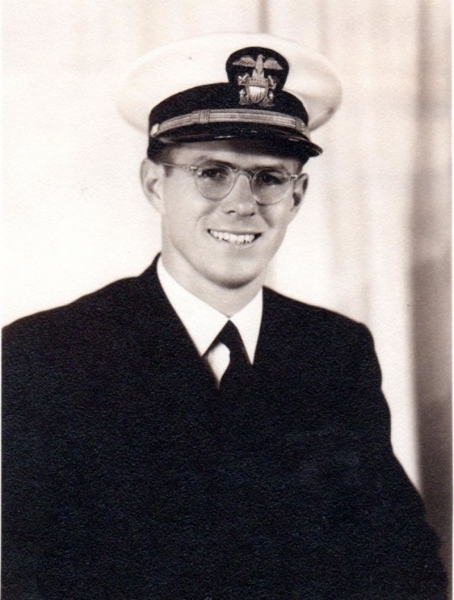 In June of 1944 he became a Navy chaplain assigned to the First Division of the Marine Corps (Marine chaplains are all Naval personnel). World War 2 was in full swing in the Pacific, and after basic training and brief stays in Hawaii and Guam he was sent to Okinawa where he was immersed in combat the very first day. The time on Okinawa was a grievous experience for him as many of the Marines he would try to counsel and minister to during the day by evening lay dead—placed with many others in a long bulldozed trench where Williams alone with a Catholic chaplain prayed over the bodies. Finally, the Marines conquered Okinawa on July 2, 1945, the fighting caused 12,513 American deaths, with 38,916 wounded, 33,096 non-combat deaths and killing more than 101,000 Japanese plus over 100,000 civilian Okinawans. And though the American forces still endured enemy bombing and artillery fire, plans were laid for a mid-August invasion of Japan. For the American forces on Okinawa, the expected death toll for such an invasion was 110% including reinforcements. On August 6, 1945, however, a U. S. plane dropped an atomic bomb in Japan on Hiroshima and three days later one on Nagaski. Japan surrendered to the Allies on August 15, 1945. At separate ceremonies in September, Japan surrendered to China. Williams with the Marines and many other Americans on Okinawa were then deployed to help reestablish China.